As much as I like to enjoy a leisurely breakfast, the workweek simply doesn't allow much time in the morning to relax. We live in times that demand a quick fix. 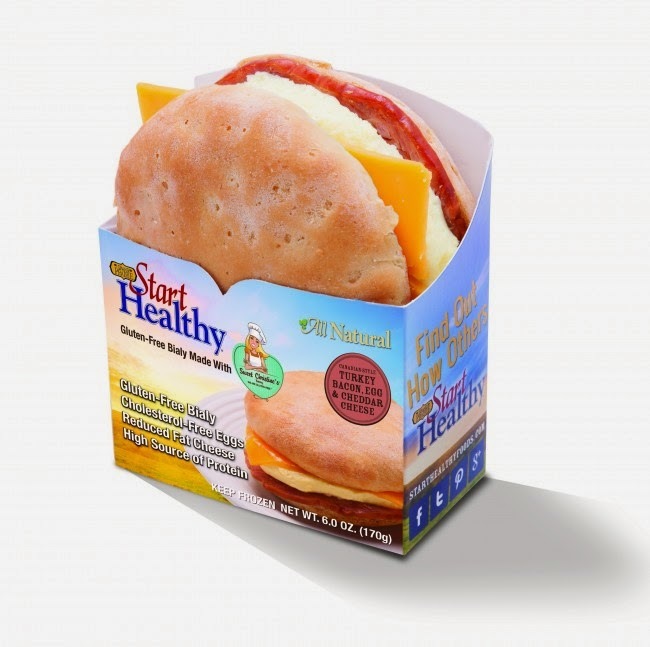 Enter Start Healthy's gluten-free breakfast sandwiches, made with breads from Chester County's own Sweet Christine's Bakery. There are four certified-gluten-free sandwiches in all: a choice of turkey sausage or Canadian-style turkey bacon, cholesterol-free egg and reduced-fat Cheddar cheese on either a gluten-free bagel or bialy. These are the first heat-and-serve gluten-free breakfast sandwiches to hit the market since Ian's since-discontinued Wafflewiches. We recently sampled both of the all-natural bagel sandwiches and were suitably impressed. If you have the luxury of time, you can heat them in the oven, but we opted for the microwave at a minute and 20 seconds. The savory meats blended nicely with the mildness of the cheese and egg. The bagel was spongy, but that's to be expected from microwave preparation. 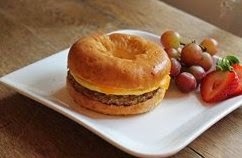 The bagel sandwiches can be ordered from Sweet Christine's, which offers nationwide shipping. Both the bagel and bialy sandwiches are also sold in larger quantities from Start Healthy. DISCLOSURE: While Sweet Christine's provided product samples for me to review at no cost, such compensation did not influence my review. Neither I am nor any immediate family member is an employee, officer, director or agent of Sweet Christine's or its respective parent, subsidiary and affiliated entities, advertising and promotional agencies. Click here for my complete Disclosure.